The brand has also adopted the "wellness that works" tagline. 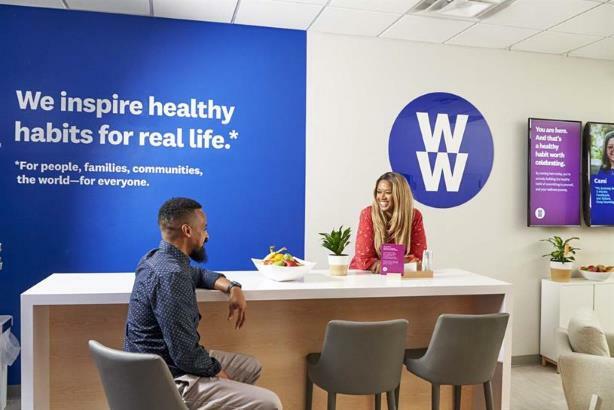 Weight Watchers is changing its name to WW and adopting a new tagline, "Wellness that works," as it responds to changing views on healthy lifestyles. The brand is rolling out a new visual identity, including a logo, color palette, typeface, and photography style on Monday. It will appear on an updated version of the WW app from October 4 and in a campaign launching in late December. The revamp follows Gail Tifford's appointment as chief brand officer in March. Alongside the brand update, WW is launching upgrades to its digital experience. It will roll out on Alexa and Google Assistant on a trial basis, allowing users to use their voice to look up points for food items and receive updates and add points to their own points tracking. As part of a shift away from a traditional focus on slimming and towards a more rounded idea of wellness, WW has partnered with Headspace, embedding its meditation service in the WW app. Caroline Pay, former joint chief creative officer at Grey London, joined Headspace earlier this year as chief creative officer. WW is also updating its FitPoints system to encourage choices that have the greatest impact on an individual’s health and wellness. It will be tailored to each user within their app. Moreover, WW is introducing Connect Groups, a social feature in the app that will allow users to connect with others who share their dietary needs, life stage, and preferred activities. There will also be a shift in the WW product range, with a greater number of products containing no artificial sweeteners, flavours, colors, or preservatives launching in January. "We are committed to always being the best weight-management program on the planet, but now we’re putting our decades of knowledge and expertise in behavioral science to work for an even greater mission," said Mindy Grossman, president and chief executive of WW. "We are becoming the world’s partner in wellness. No matter what your goal is – to lose weight, eat healthier, move more, develop a positive mindset, or all of the above – we will deliver science-based solutions that fit into people’s lives."